Rainbow of Love was made for a very special couple of the LGBT family. 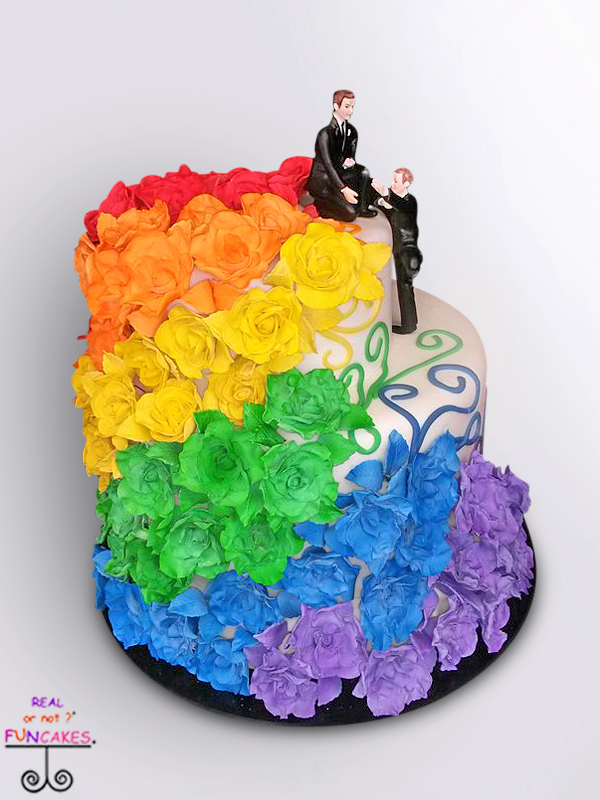 The law was changed to make it legal for them to be married and we felt very honored to get to make their cake. 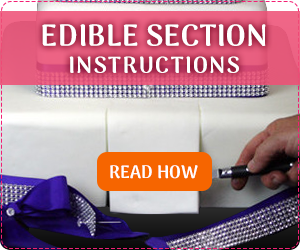 Three tiers of real fondant, in a natural white color, cover all the tiers. Cascading down the front are all handmade sugar flowers in the colors of the rainbow. Roughly 60 sugar flowers, along with leaves and matching colored swirls on the cake. Cake Topper can be included with this cake, just let us know. 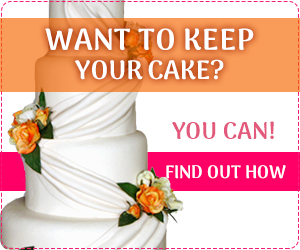 Even though your cake is fake, you want it to look like it will feed your wedding guests. If this cake were real, it would feed 160 guests. 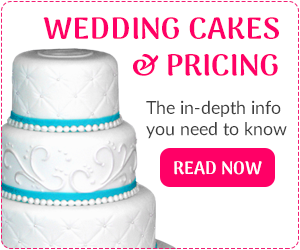 We are charging $2.50 a slice for this beautiful and perfect fake cake, with free shipping.